Ronald E. Hoxworth, M.D., is an Associate Professor of Plastic Surgery, Chief of Plastic Surgery, and Director of the Abdominal Wall Reconstruction Program at UT Southwestern Medical Center. He is board certified by both the American Board of Surgery and the American Board of Plastic Surgery. He has extensive training in both cosmetic and reconstructive procedures. Cosmetically, he performs breast lifts, breast augmentation, abdominoplasty, rhinoplasty, liposuction, face and neck lifts, and facial rejuvenation using Botox and Ulthera. His reconstructive practice includes both adult and pediatric procedures. His focus is procedures involving the face, breast, abdominal wall, and extremities. Dr. Hoxworth completed his undergraduate training at the prestigious University of Pennsylvania and finished medical school at Jefferson Medical College in Philadelphia. Dr. Hoxworth completed a general surgery residency at Thomas Jefferson University Hospital and joined UT Southwestern in 2007 after completing a fellowship in plastic surgery here. He has been the recipient of numerous awards and accolades throughout his career from his patients and colleagues. In the Department of Plastic Surgery at UT Southwestern, he is on the Clinical Competency Committee and the Residency Internal Review Committee. At the VA North Texas Health Care System, Dr. Hoxworth serves as the Residency Site Director. Outside of UT Southwestern, he is a contributing editor for Selected Readings in Plastic Surgery, a reviewer for the journal Plastic and Reconstructive Surgery, and a member of the Plastic Surgery Foundation Clinical Trials Network Committee, which works to identify key clinical issues in aesthetic and reconstructive plastic surgery. Dr. Hoxworth has volunteered on medical missions in Belize with the Life Enhancement Association for People (LEAP) Foundation, which delivers free surgical care to children and adults born with deformities. 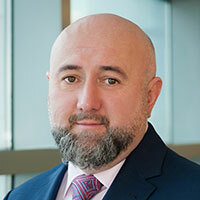 He served as site principal investigator for an award-winning, multi-institutional study supported by the Plastic Surgery Education Foundation that measured patient safety and outcomes in plastic and reconstructive surgery patients. Dr. Hoxworth has attained dual board certification and is a Diplomate of both the American Board of Surgery and the American Board of Plastic Surgery, as well as a Fellow in the American College of Surgeons. He is a member of the American Society of Plastic Surgeons, American Society for Reconstructive Microsurgery, Dallas-Fort Worth Hand Society, and the North Texas Chapter of the American College of Surgeons. Dr. Hoxworth frequently speaks at medical symposiums on cosmetic and reconstructive procedures, and he has published numerous articles, book chapters, and scientific papers about those topics. 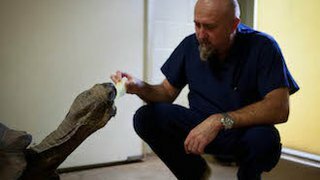 A native of New Jersey, Dr. Hoxworth enjoys sports of any kind and spending time with his family, which includes his wife, a daughter, and a 150-pound Great Dane. Ronald E. Hoxworth, M.D., is an Associate Professor of Plastic Surgery, Chief of Plastic Surgery, and Director of the Abdominal Wall Reconstruction Program at UT Southwestern Medical Center. He is a board-certified plastic surgeon, with a practice that encompasses both cosmetic and reconstructive surgical procedures. “My patients understand that my main concern is for their health and safety and a desire to always do what is right for them,” Dr. Hoxworth says. As part of his cosmetic practice, Dr. Hoxworth performs breast augmentation, abdominoplasty, rhinoplasty, liposuction, and facial rejuvenation, including both surgical and nonsurgical treatments such as Botox, fillers, and Ulthera. In addition to his extensive clinical experience with these products, Dr. Hoxworth also has participated in national studies involving their use. Although a growing number of patients are having cosmetic surgery procedures, not all are safe and effective for every patient or result in the long-term impact that patients want. Mommy Makeovers, for example, are increasingly popular and often include a variety of cosmetic procedures. Dr. Hoxworth stresses that it is very important to individualize the procedures and determine what will achieve the best results for each patient. Dr. Hoxworth also stresses the importance of patient education and the need to understand the physiologic and biologic changes that are involved before having a Mommy Makeover. He says it’s not just about the surgery but also about preparing for the surgical outcome – including the recovery and resumption of normal activities after surgery. His approach is to explain to patients which procedures are most appropriate for them based on current and future plans for additional pregnancies, breastfeeding, physical activities, and lifestyle, as well as other factors. As part of his reconstructive surgery practice, Dr. Hoxworth performs adult and pediatric procedures involving the face, breast, extremities, and abdominal wall. He has extensive experience with abdominal and trunk reconstruction. In addition to his clinical duties, he participates in cutting-edge, patient-directed research. He has served as the principal investigator for award-winning studies and publications that evaluated patient safety and outcomes in plastic and reconstructive surgery patients. 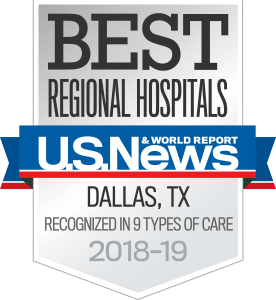 Dr. Hoxworth was a leader in establishing UT Southwestern’s Abdominal Wall Reconstruction Program, which treats both congenital and acquired defects. The Program also treats patients who have experienced complications from previous surgeries. It is one of the busier programs in the region and quite possibly the nation, he says. The Program involves a team of physicians who see both adult and pediatric patients from all over the United States and beyond. It is built on a multidisciplinary approach to delivering care with specialists in Plastic and Reconstructive Surgery, GI/Endocrine Surgery, General Surgery, Internal Medicine, Urology, Obstetrics/Gynecology, Surgical Oncology, Physical Medicine and Rehabilitation, and Pediatric Surgery. Dr. Hoxworth realizes that in order to provide the best possible care for his patients, it is important to understand the evolving nature of medicine so patients may benefit from the newest techniques as well as the proven standards of care. Primary Breast Augmentation Today: A Survey of Current Breast Augmentation Practice Patterns. Q&A by Ron Hoxworth, M.D.